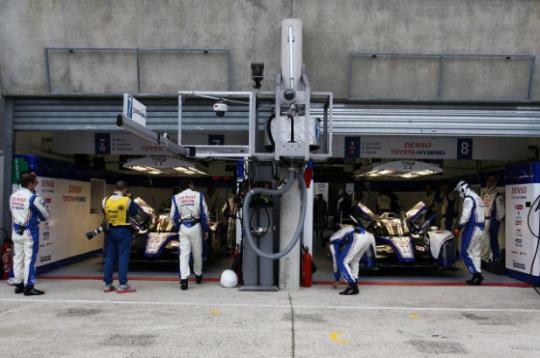 Toyota's pair of TS030 hybrid racing cars has achieved another milestone by successfully participating in Le Mans test day in order to prepare for the Le Mans 24 Hours race on the 16 � 17 June. This marks the first time a Toyota racing car has ran at the Cirque De La Sarthe race track since the GT-One, codenamed TS020, competed at the 24 hour race in '98 and '99. For the first time, Toyota Racing had two cars in action, having completed all testing so far with only the number #7 car. A brief shakedown for the number #8 car on Friday capped a huge effort from the team at Toyota Motorsport GmbH (TMG) to complete the car in time for the test. 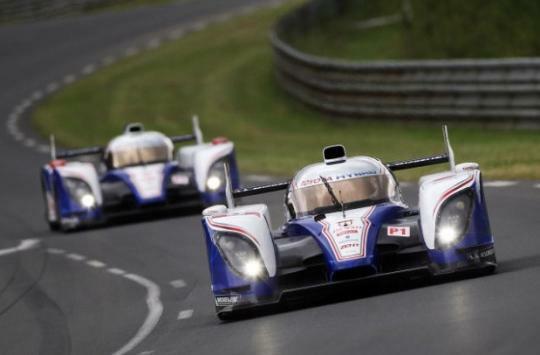 Both TS030 Hybrids, displaying their new TOYOTA hybrid-blue livery, were in action immediately when the lights went green, beginning another new chapter for the team with its first multi-car test. 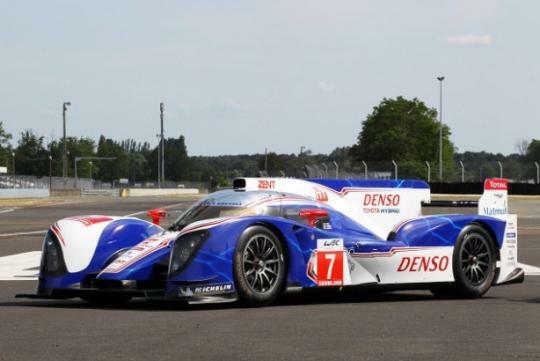 The complete driver line-up for car number #7 of Alex Wurz, Nicolas Lapierre and Kazuki Nakajima took part in the test while the #8 featured Anthony Davidson and S�bastien Buemi. St�phane Sarrazin (third driver for car number #8) missed the event in order to give him additional time to recover from cuts and bruises sustained in a cycling accident. St�phane will return to driving duties for Toyota Racing for the Le Mans race week. The top priority for the day�s test run was to allow for Le Mans newcomers Kazuki and S�bastien to complete the mandatory 10 laps required to allow participation in the race and they comfortably achieved this during the test lap run. 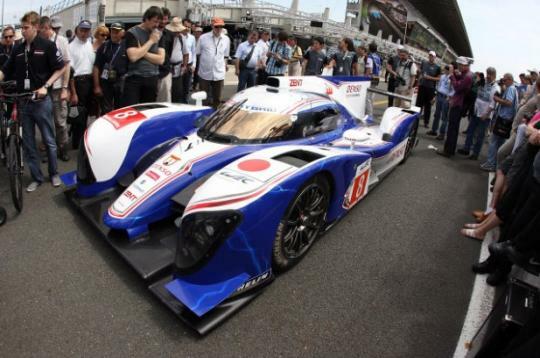 Team President, Yoshiaki Kinoshita, mentioned that the test day was a significant step for them because it was their first chance to see the car on track against their opposition at Le Mans. Overall the team was satisfied with the test run for both cars and there was no significant issue with both of them. Hisatake Murata, the hybrid racing project leader, who was also the engine engineer for the car number #33 TS010 back in 1992 mentioned that it was great for him to be back after a 20-year break. And the team is continuously adjusting and improving the hybrid racing system in order for the cars to perform at its best.